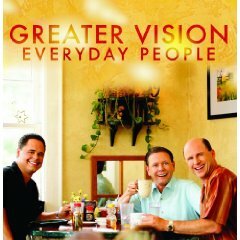 Greater Vision was organized in 1990, and immediately, audiences responded overwhelmingly to their rich vocal blend and ability to effectively communicate the message of the Gospel. 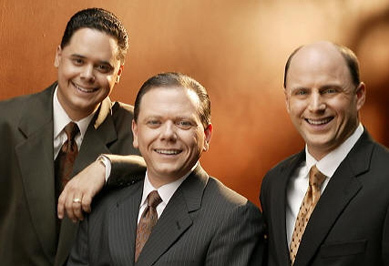 Since the trio’s formation, they have established a firm place at the top of the Christian music ladder, becoming the most awarded trio in Gospel music history. 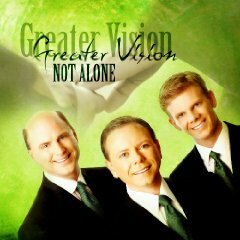 They have been named Trio of the Year by both The Singing News Magazine and The Southern Gospel Music Association. They have also held honors for Song of the Year, Album of the Year, and Video of the Year. Group members have been recognized individually as well, with Rodney Griffin being named Songwriter of the Year for six consecutive years, and Gerald Wolfe being named Male Vocalist of the Year for five consecutive years. The group’s tenor, Jason Waldroup, has also been recognized as Gospel music’s Favorite Young Artist and Gospel music’s Favorite Tenor. 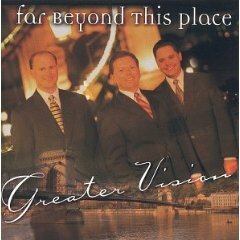 Over the years, Greater Vision has achieved much radio success with numerous number one songs. They continue to produce songs that remain true to the rich musical tradition they have presented for more than a decade. 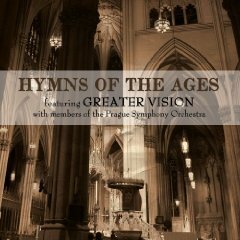 In 1998, Greater Vision became the first Gospel music group to record with the world-renowned Budapest Philharmonic Orchestra and Hungarian Radio Symphony. Since that recording, the group has used the famous orchestra on two other recordings that have become Gospel music favorites. In 2002, Greater Vision recorded their first-ever “live” project with The Atlanta Festival Orchestra. “Live At First Baptist Atlanta” was released on cassette, compact disc, VHS video, and DVD, and was named Album of the Year and Video of the Year by readers of The Singing News Magazine. 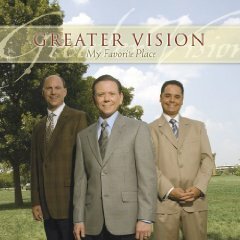 The group’s most unique recording was called “Quartets” and teamed Greater Vision with fifteen of Gospel music’s most popular bass singers. This very popular recording was named Album of the Year in 2003, and the video/DVD version received the Favorite Video award at the 2004 Singing News Fan Awards program. Greater Vision continues to break new ground in Christian music by bringing together the talents of Lari Goss and Wayne Haun, considered by many to be Gospel music’s most gifted producers. 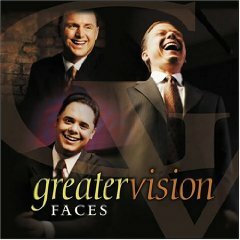 They have joined forces for the first time to co-produce Greater Vision’s latest recording, “Faces”, which features twelve songs, seven of which were written by Rodney Griffin. This new project is dedicated to the people who labor behind the scenes, in unrecognized ministry positions, never knowing how many lives are being touched by their faithfulness. The title song, “Faces”, is being called the most insightful and encouraging song Rodney has ever written. The vocals and rich harmony Greater Vision has become noted for are a result of the blending of three unique and versatile vocalists. Gerald Wolfe, the group’s founder and emcee, sings the lead. Prolific songwriter, Rodney Griffin, handles the baritone part for the trio. Jason Waldroup, the group’s youngest member, provides the exceptional tenor part.